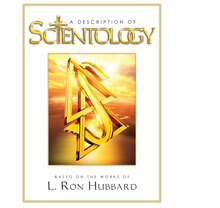 Though Scientology is immense in scope, one need not familiarize oneself with everything before applying its tenets to life. The Church offers various introductory services for those who either want help with current problems or simply wish to explore the subject. Introductory courses and activities provide much insight into the basics of Scientology and furnish data one can immediately apply to improve one’s life. Such services are usually short in length and can be done in a few evenings at a church or mission. Their value lies in the instant benefit one gains from practical answers to the problems of life. Several, but by no means all, of these are described in this chapter.